Publisher: Longmans, Green & Co., 1908. Condition: Half-leather, fine binding. Very good. 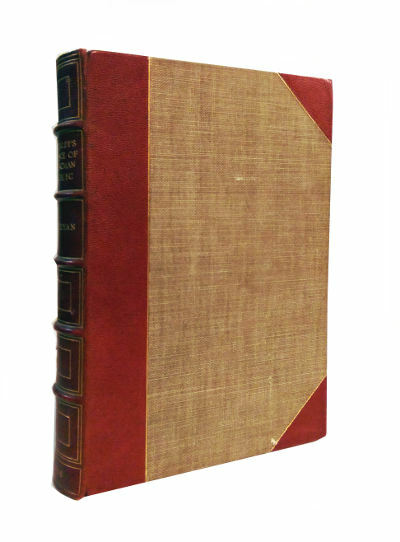 A beautifully-bound book with gilt to the top edge. Slight foxing. 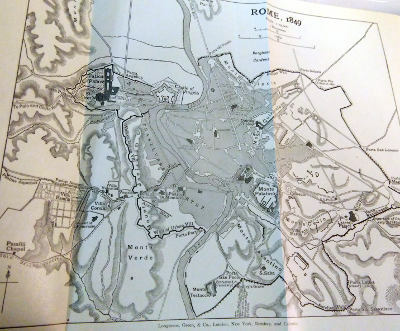 With 2 foldout maps, 7 maps in total, and numerous black-and-white illustrations. 386pp., app 9″ by 6″. Giuseppe Garibaldi (4 July 1807 – 2 June 1882) was an Italian general and nationalist. A republican, he contributed to the Italian unification and the creation of the Kingdom of Italy. He is considered one of the greatest generals of modern times and one of Italy’s “fathers of the fatherland” along with Camillo Benso, Count of Cavour, Victor Emmanuel II of Italy and Giuseppe Mazzini. Garibaldi is also known as the “Hero of the Two Worlds” because of his military enterprises in Brazil, Uruguay and Europe. He commanded and fought in many military campaigns that led eventually to the Italian unification. In 1848, the provisional government of Milan made Garibaldi a general, and in 1849, the Minister of War promoted him to General of the Roman Republic to lead the Expedition of the Thousand on behalf and with the consent of Victor Emmanuel II. His last military campaign took place during the Franco-Prussian War, as commander of the Army of the Vosges. 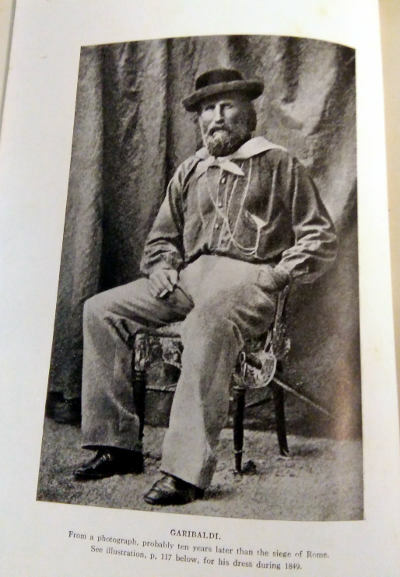 Garibaldi was very popular in Italy and abroad, aided by exceptional international media coverage at the time. Many great intellectuals of the time, such as Victor Hugo, Alexandre Dumas, and George Sand, showered him with admiration. The United Kingdom and the United States helped him a great deal, offering him financial and military support in difficult circumstances. In the popular telling of his story, he is associated with the red shirts that his volunteers, the Garibaldini, wore in lieu of a uniform. 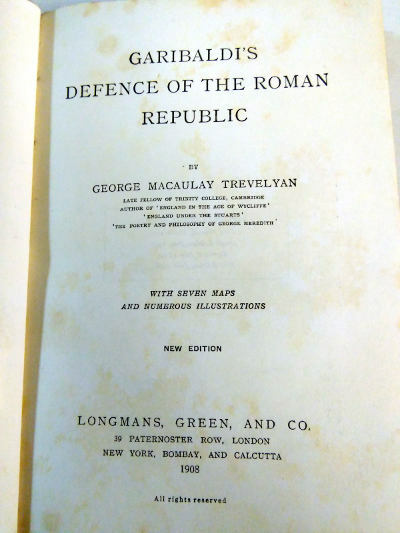 George Macaulay Trevelyan OM CBE FRS FBA (16 February 1876-21 July 1962), was a British historian and academic. He was a Fellow of Trinity College, Cambridge, from 1898 to 1903. He then spent more than twenty years as a full-time author. He returned to the University of Cambridge and was Regius Professor of History from 1927 to 1943. He served as Master of Trinity College from 1940 to 1951. In retirement, he was Chancellor of Durham University.